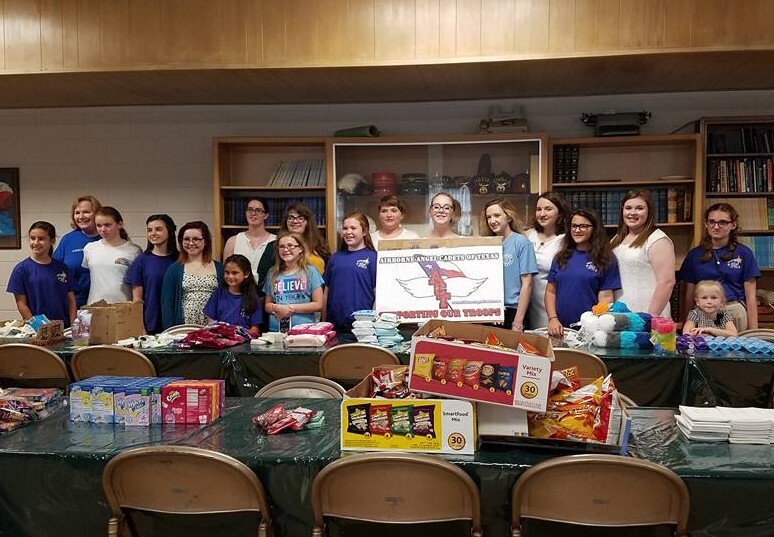 Care Packages for Soldiers: Rainbow Girls complete big project to Support our Military Troops! 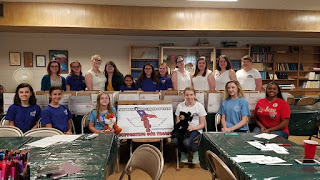 Rainbow Girls complete big project to Support our Military Troops! 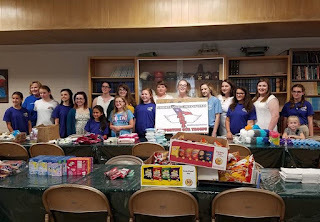 The patriotic young ladies of the North Texas Assembly #383 (Denton) of the International Order of the Rainbow for Girls held a wonderful event to support U.S. Military Troops deployed overseas. 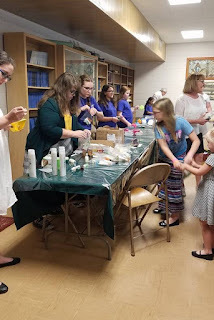 The event was held at the Stanfield Masonic Lodge in Denton, TX, with our super volunteer, Holly, assisting in the efforts. 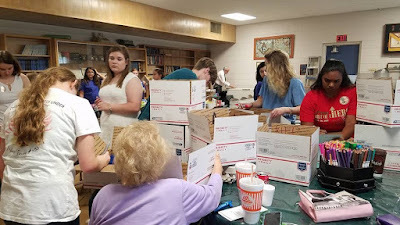 About 25 boxes full of much-needed care package snacks, toiletries and other valuable items were packed and will be included in the care packages of the Airborne Angel Cadets of Texas. The boxes were lovingly decorated and personalized for the troops, and notes to the troops will also be valuable additions to our care packages. This effort will surely brighten the days for many, many troops serving in Iraq, Afghanistan and other remote areas. The Airborne Angel Cadets of Texas would like to give a huge thanks to the Rainbow Girls for helping us support our American Soldiers, Sailors, Airmen, Marines and Coast Guardsmen serving overseas! Rainbow Girls hard at work decorating the care package boxes! 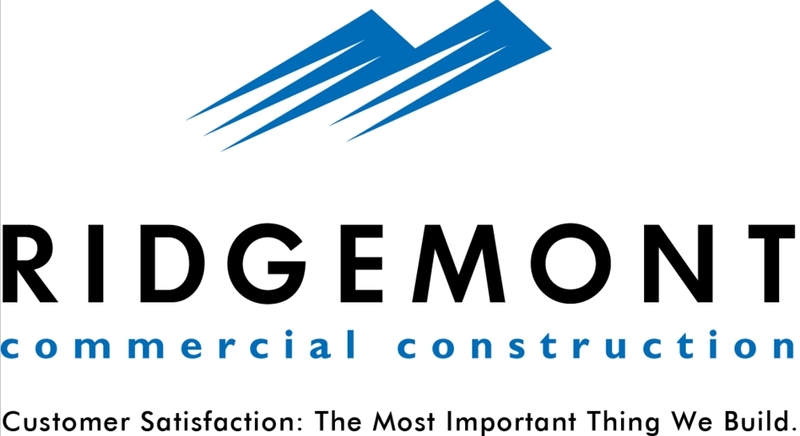 More smiling faces of the Rainbow Girls! Rainbow Girls carefully packing their boxes.